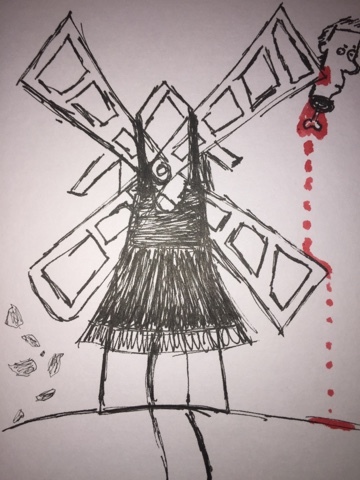 Luke dressed his windmill in the prettiest dress he could find. It still made her a bad choice for a wedding date. At least if you ask me. Or the poor flower girl who delivered flowers devoid of petals. Although the windmill did provide free electricity for the DJ. Who did not forget his Huey Lewis. Nor his And The News. So I'm comfortable saying best wedding ever.